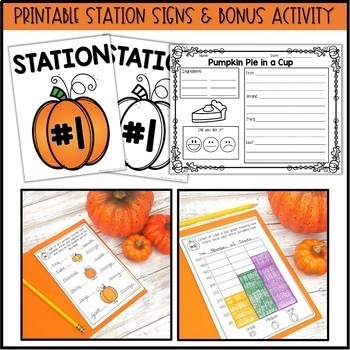 Are you planning a pumpkin day in your classroom?! 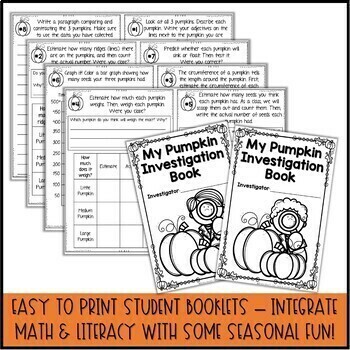 Easily integrate math, literacy and science with this pumpkin investigation unit! 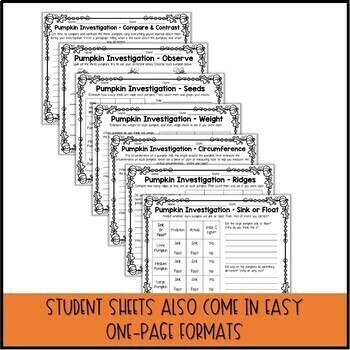 It includes everything you need to make this a fun-filled day of learning for your students! 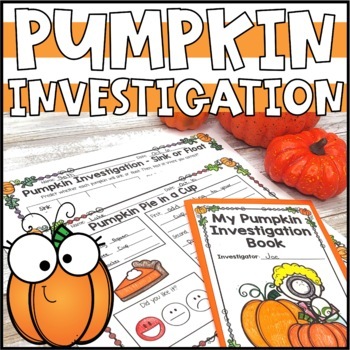 This is a fun fall-themed activity - perfect for October (Halloween, or November (Thanksgiving). You will need a small, medium, and large pumpkin. You can ask parent volunteers to donate pumpkins, or ask pumpkin patches if they are willing to donate.